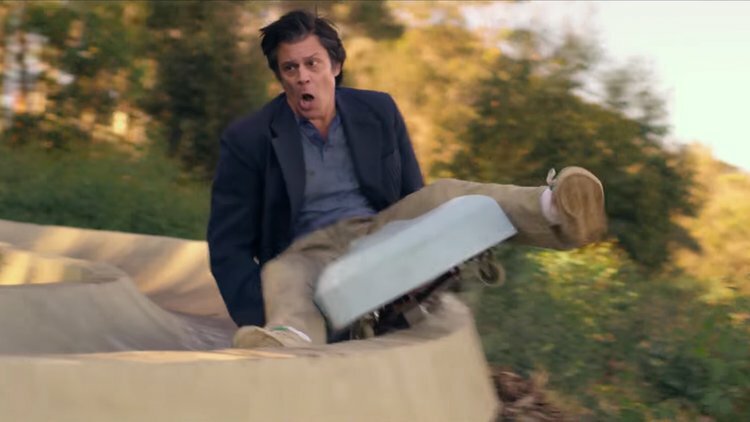 Johnny Knoxville is back and killing himself again to entertain you. The Jackass star's latest film, Action Point, may sound like a Carl Weathers flick from the '80s, but it's actually based on the true story of Action Park, the most dangerous water park ever. And based on this new trailer it basically looks like Knoxville took Jackass, put it in a theme park, and stitched something resembling a story around it. Directed by Tim Kirkby (Veep) with a script from Silicon Valley writers John Altschuler and Dave Krinsky, the film stars Knoxville as the owner of a dangerously low-rent amusement park who pulls out all the stops to compete with bigger attractions. Does it look ridiculous? Of course, but there's something about Knoxville doing harmful things to himself that just works, and the insane stunts pulled off in the movie are legit. Naturally you get some of Knoxville's Jackass buds in this, too, along with some new folks. Action Point opens June 1st, and I have a pretty good feeling about it.